When you book one of our undercover hotels at Luton airport you'll find our fantastic prices just got even more impressive. Our Luton undercover hotels are the same quality Luton airport hotels available at prices even lower than our normal rates. We just keep the identity of your hotel a secret until after youve booked. Our undercover hotels are all hotels we offer anyway, the only difference is the air of mystery we give them. Well give you some snippets of information like the star rating and transfer arrangements before you book, so you know the hotel is right for you. Well just keep the full identity of your hotel undercover until we send your confirmation email. Why book a Luton airport undercover hotel? We always aim to give you the best possible prices when you book a hotel with us, and by booking an undercover hotel we can give you an even bigger saving than we normally would. All our undercover hotels at Luton airport are three-stars, so you know the hotel will be of a high standard. We often get customers who've stayed at one of our undercover Luton airport hotels telling us how delighted they were with their bargain. We want you to stay in the hotel that best suits you so we offer undercover hotels both on and off-airport. On-airport hotels are within Luton airport grounds, whereas off-airport hotels are a few miles outside. All our Luton undercover hotels provide guests with transfers to and from the airport. On top of a great Luton airport hotel, we also offer a variety of fantastic upgrades to make your holiday even better. 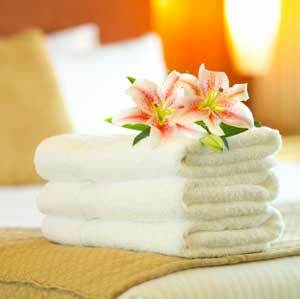 Each undercover hotel has different upgrades on offer. At some you can upgrade your room, whilst at others a bottle of champagne could be waiting in your room when you arrive. We can also help you organise your holiday insurance, or send you traffic updates by text on the day you travel. If youd like some VIP treatment we can have you head straight to the front of the airport security queue. If you've booked a holiday package which includes parking, you'll be able to have your car valeted. If your package doesn't include parking, we can offer you discounted rail travel to Luton airport and back. Our hope is that each of these upgrades makes your trip smoother and more enjoyable.